The Premier Paper Group hosting its third annual tree-planting event today at Heartwood Forest, Hertfordshire. 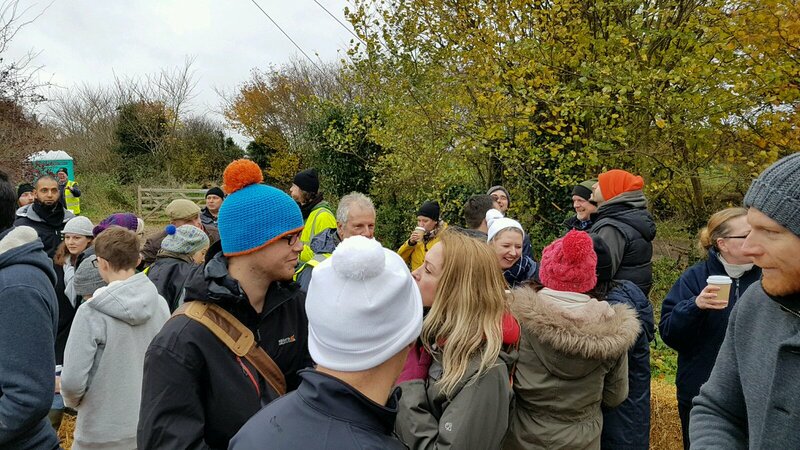 This Morning on 24 November, PremierPaperUK who celebeate their 5 year Wooden Anniversary, took a number of customers and staff to UK’s largest continuous new native woodland to plant some trees on the 858 acre-Heartwood. Premier first started participating in the Woodland Trust’s Carbon Capture scheme in 2011. The scheme calculates the amount of CO2 generated by paper sold by a company and mitigates that by planting the number of trees that will capture the equivalent amount of CO2. Customers in the past year that have participated in Premier’s Carbon Capture scheme have helped plant more than 55,000 trees with the Woodland Trust, which Premier said has captured 11,000 tonnes of CO2 emissions. Premier marketing director Dave Jones said “Heartwood is the biggest continuous expanse of woodland that the Woodland Trust owns in the UK. It is a great location and the site is guaranteed to be around for future generations. “The Carbon Capture scheme is not an exercise in making money, all the money we collect through the scheme goes directly to the Woodland Trust. It is part of our cause-related marketing strategy if you like, finding a relevant cause that works well for the customer. Last year, it planted around 4,000 trees on the day and the year before that, in its inaugural Heartwood event, it planted 3,000. Jones feels it can reach the extra thousand with the help of more volunteers. It currently has 80 confirmed for the day and anticipates at least double that number.